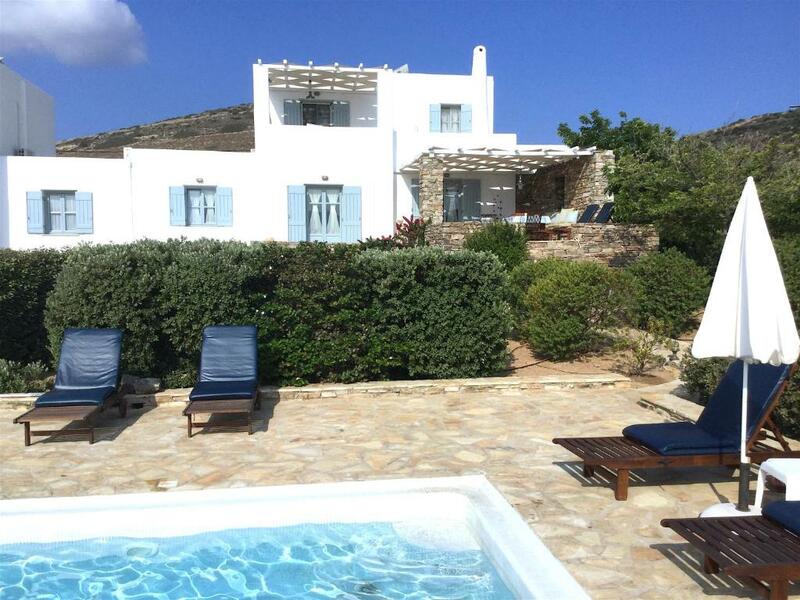 One of our top picks in Antiparos.Opening to a balcony with Aegean Sea views, Villa Afroditi is located in Antiparos. 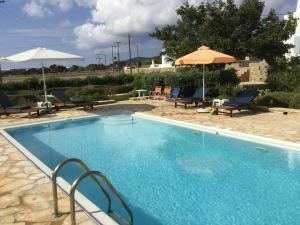 It features a terrace and free WiFi in all areas. The nearest beach is 1,000 feet away. The air-conditioned villa includes a seating area with flat-screen TV. The kitchen is equipped with a microwave. The bathrooms come with a bath or shower. The center of Antiparos with its scenic stone-paved alleys lies 2.2 mi from Villa Afroditi. The port and the sandy Psaraliki Beach are 2.5 mi away. When would you like to stay at Villa Afroditi? 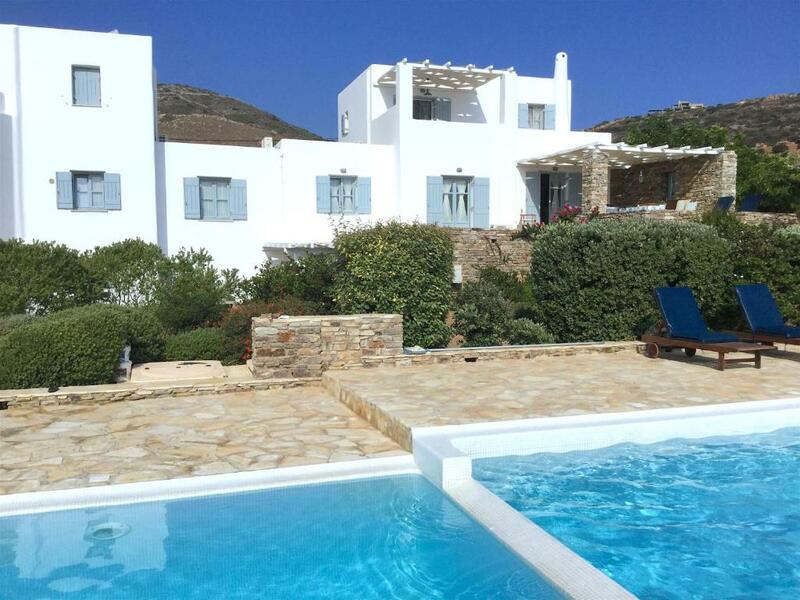 Opening to a balcony with Aegean Sea views, the air-conditioned villa includes a terrace and free WiFi. It features a seating area with flat-screen TV. The kitchen is equipped with a microwave. The bathrooms come with a bath or shower. Our complex consists of two houses with a separate pool each, each house offers 4 bedrooms, 3 bathrooms, a fully equipped kitchen , private parking and a very large well kept garden. 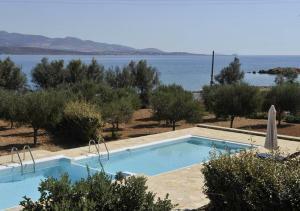 we rent the one of the houses but we can offer both of them to a big group. There is a cleaning lady for all rental days and twice a week changing linen. We work on the tourism 20 years. we love to welcome our guests and to take care of them. 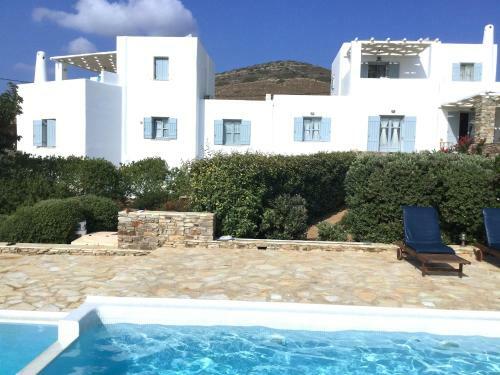 Our complex located right on the sea , 3,5km far from Antiparos center and the port and 200m from a sandy beach.Close there is an organized beach as well as numerous of sandy virgin beaches. 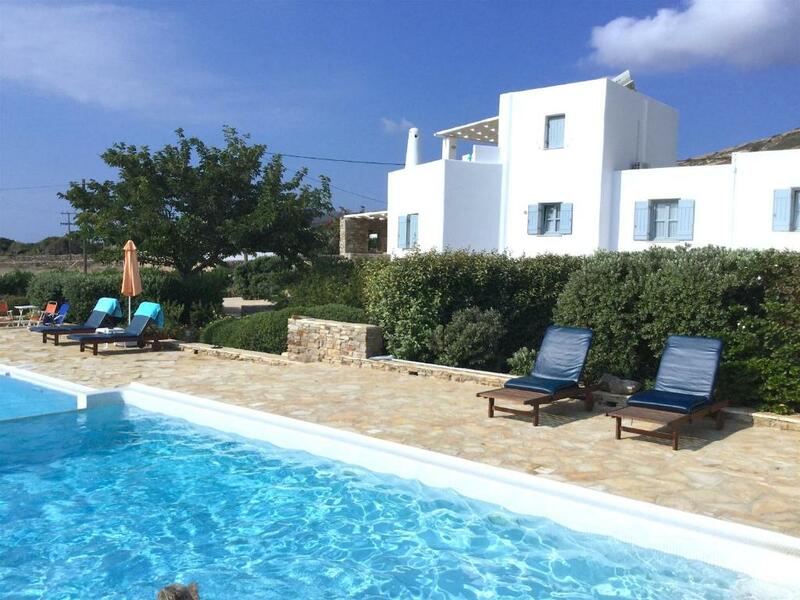 House Rules Villa Afroditi takes special requests – add in the next step! 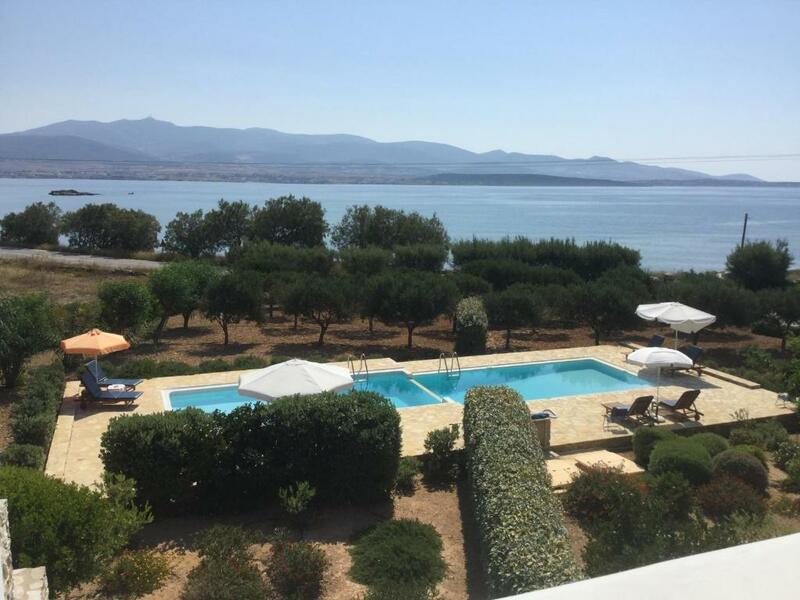 Villa Afroditi accepts these cards and reserves the right to temporarily hold an amount prior to arrival. Please note chef and butler services are offered upon request. Kindly note that deposits are nonrefundable. We need at least 5 reviews before we can calculate a review score. 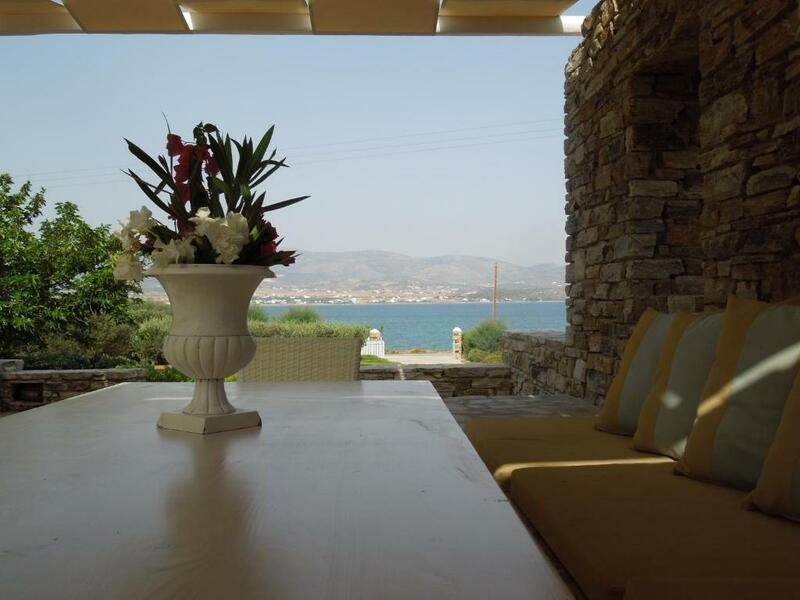 If you book and review your stay, you can help Villa Afroditi meet this goal.